For many CSU Alumni, Bathurst holds a special place in their hearts. This is certainly the case for graphic designer Kylie Ledger, who established her business Startle Art Graphic Design there in 1995. 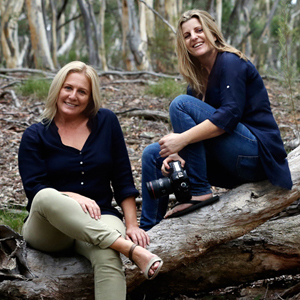 After several years thinking how lucky Bathurst was to have such interesting and diverse community members, Kylie joined forces with fellow CSU graduate, photographer Jane Dempster, to produce a coffee table book celebrating the 2795 region. 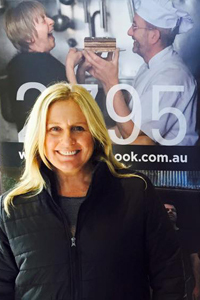 Titled ‘2795’, after Bathurst’s postcode, the book features profiles of 20 individuals, each with a unique story to tell as well as snapshots of many locals. In a curious twist of fate, the book arrived from the printery on May 7 – the very day Bathurst celebrated its 200th birthday. Here Kylie shares a little of her story. I worked for two years before deciding to go to Uni. I was glad to have been accepted and to complete the course. I think my family were all proud. I’m currently… living in Bathurst and celebrating 20 years of running my business, Startle Art Graphic Design. I’m also promoting ‘2795’ and enjoying the Bathurst200 celebrations. I never dreamed I would … publish a book. Jane and I completed the same graphic design/photography degree at CSU, Wagga Wagga. I followed the design path and Jane the photography. During dinner one evening in Sydney, I mentioned my idea for a book to Jane. She was looking for another personal photography project and jumped at the opportunity and we began shooting in October 2012. The aim of the book was to celebrate the people living in the Bathurst region and to perhaps challenge the perception of outsiders about the type of people who live in large regional areas. Everyone involved was very welcoming, trusting and brave. I chose CSU because … I liked its location and the idea of studying in the country. My best experience at CSU... the friends I made. My worst experience at CSU... being told by one of my lecturers that I couldn’t draw. At university I was inspired… by a few of the other students in our year and the year above whose work I admired. Today I’m motivated… to give my clients more than what they expect and to maintain the good reputation of my business. In my profession it is important to… communicate clearly with your clients and suppliers. The biggest influence in my life... my parents who taught me good work ethics and compassion for other people. My greatest achievement is... 20 years operating a business on my own. I always knew I wanted to be a graphic designer and that I wanted to run my own show. The best piece of advice I ever received... Quick. Quality. Cheap. You can’t offer all three. The thing I wish I had done but never got around to... travel the globe. But I will.